The Dragon fish, is a ferocious predator who leave in the deep ocean of the world arround 1.5km deep. dragonfish species are found in most oceans the world, the deep sea dragonfish is limited mainly to the North and Western Atlantic Ocean and the Gulf of Mexico. 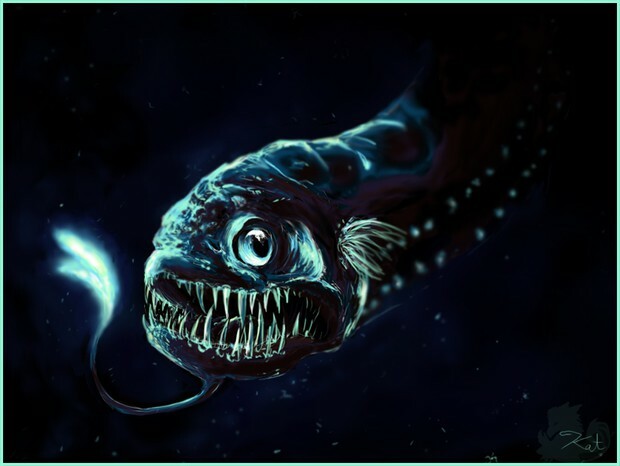 The deep sea dragonfish is one of the many species of deep sea fish that can produce its own light through a chemical process known as bioluminescence. The Dragonfish is a predator since no plant life grows at the depths where the Dragonfish lives. The Dragonfish feeds primarily on marine fish and deep sea invertebrates. It uses the photophores on its body and its barbell to attract its prey before it’s snapped up into their jaws. 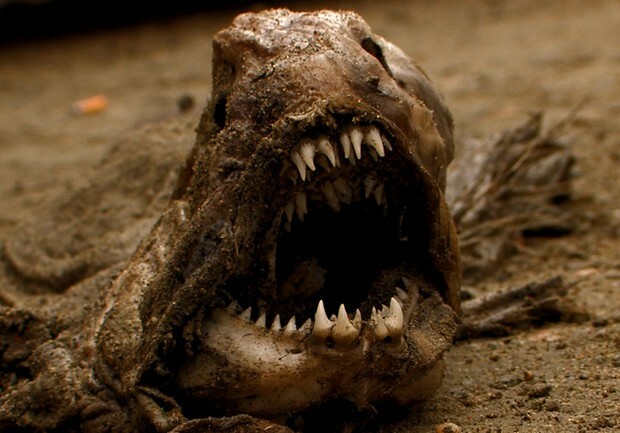 The wolf fish, found usually in the colder waters of the European area will generally live at depths of about 91m or more, and is viewed as one of the most unattractive fishes alive today. They are ferocious in looks, being a dull gray color and have very long cylindrical teeth in jagged rows. The will hide in rock formations or crevices and lie in wait for other fish or crustaceans, and very often the area is littered with the shells of the prey that was a bit too slow. The wolf fish teeth were made for crunching up thing like clams, crabs and sea urchins. They do not eat other fish. They are known to frequently eat large welks, cockles, chrysodomus, sea clams They are an important predator of sea urchins and green crabs, whose populations escalate rapidly and can negatively affect the health of a marine system. the differences between living in the deep and living at the surface is: at the surface you dont need light to hunt because the sun provide light, in the deep water you need bioluminescence to create your own light to hunt and escape from predator.